I was recently surprised to be called "far left" by a veteran member of the CPUSA, a leading supporter of the strategy and tactics of your party leadership. The charge was made in the course on an online discussion of the anti-war marches of March 20, 2010. In Canada, people with my political orientation and commitments are unexceptional rank and file members of the Communist Party of Canada. 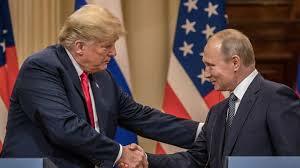 It seemed to me that it may be becoming increasingly easy to be identified with that particular deviation by some CPUSA members due to the statements and decisions made on internationalist issues by the present leadership of the Communist Party USA. It had always been understood in our global Communist movement that the CPUSA guarded an outpost in the anti-imperialist struggle because of its position at the center of the USA, the world’s leading imperialist power. Through many struggles and US-led wars we have looked with confidence to the American party to speak truth to power in the United States of America. I am seriously concerned that some of the more basic signposts and working-class internationalist perspectives of our global movement are being questioned by leaders of the American party. My main question is whether or not these recent step-backs from Communist identity represent an ideological shift rightwards by the CPUSA. Rick Nagin while campaigning in his ward in the Cleveland election suggested to The Plain Dealer and Press the dropping of the "Communist" name. He suggested the "New Socialist Party" might be a good replacement might be a good replacement with less stigma. Another CPUSA leader Roberta Wood, was quoted in Political Affairs as telling this past Anniversary celebration of the birth of the CPUSA that the hammer and sickle should be replaced as the party symbol because it only suggests "The Grim Reaper". It is not necessarily a matter of concern to global communists when a national CP adopts an alternate name and has of course happened in certain parties. As an international fraternal party member I can not help but wonder if there is a deeper ideological significance to such suggestions because these suggestions about Communist symbols and identity have been accompanied by rightward political omissions and commissions that seem to possibly suggest a withdrawal from basic principles of Leninist anti-imperialist commitments. For example, the official non-participation by the CPUSA Leadership in the March 20th coalitionÂ marches across the country seemed an ominous signal that not only might communism’s oldest symbols be up for grabs, but the Communist fight-back against a stepped-up US imperialism in Afghanistan may be being eclipsed by right-opportunist ideology. I hope American comrades may understand why a member of a neighboring Communist party involved in the anti-imperialist struggle against the US-led NATO military alliance would be concerned by the ambiguity of these acts and omissions. I have concluding questions which I respectfully ask the members and friends of the American party to consider. 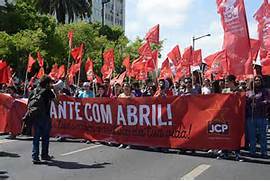 By abstaining from official participation in the March 20th marches across different US cities was the CPUSA leadership failing in its internationalist duty to the people of the occupied nations and the global working-class? John Bachtell of the CPUSA leadership has stated on open internet exchange that it is not "helpful" to speak of US imperialism today. Does this represent a strategic or tactical move or a move from Leninism by the CPUSA leadership? In a pre-March 20 political statement, an official discussion document: "International Issues and US Foreign Policy by Communist Party USA" the leadership authors made a slighting reference to "narrow Left elements" under the heading "Peace movement and its role." "Some narrow left elements within the peace movement insist on lumping the new administration in with the Bush administration, maintaining the same oppositional stance. To be sure, an important task of the peace movement remains opposing and mobilizing against policies that continue the old destructive path, such as the military escalation in Afghanistan." The co-sponsors of the marches included Medea Benjamin, co-founder of CODEPINK, Iraq Veterans Against the War, a wide variety of trade union militants, and some of the main middle-class Muslim citizen associations, members of the School of the Americas Watch, Catholic religious, etc. Why was the first major anti-war march in the US since Obama took office not officially endorsed by your party leadership? I think this is an honest Communist question that deserves a response in light of President Obama’s massive troop surge in Afghanistan. I respectfully submit that the CPUSA leadership would help foster mutual trust and clarity in the international Communist movement if it provided an Elucidation of its political position toward anti-imperialist solidarity and its commitment to basic signposts of historic Communist identity. The writer, who submited these comments toÂ CPUSA pre-convention discussion, is a member of the Penner-Bethune Club, Communist Party of Canada. He writes in a personal capacity.